You must make reservations at least 5 minutes in advance of the time at Ravine Vineyard Winery Restaurant. Our 34-acre site is located in the sub-appellation of Niagara-on-the-Lake called the St. Davids Bench. This place is dynamic, fresh and full of energy for doing everything well while never fearing to try new things. Consequently we are perfect for events and really good at it. We host almost any event ranging from 10 — 600 persons. Weddings, anniversaries, family reunions, social club meetings, corporate meetings, we’ve just about hosted them all! 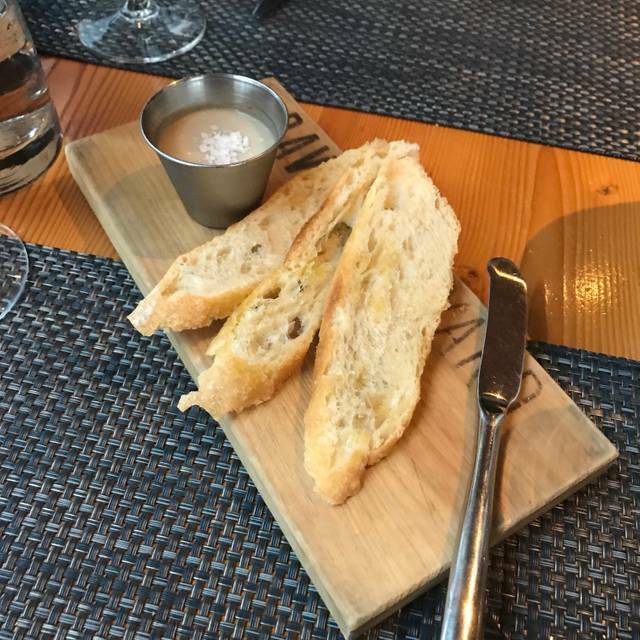 We are among the few self-standing winery restaurants that bake our own bread and grow our own certified organic vegetables while pairing our meals with the guidance of our Winemaker Ben Minaker's discriminating palate. We are blessed with a renowned culinary team that chooses an ever-changing menu. With a variety of ingredients picked right from our garden, our team not only creates a seasonal menu but also preserves as much as possible so that going local is not just a seasonal term. We are extremely proud of our service team and confident in the level of hospitality that will be shown to your table whenever you choose to dine with us at Ravine. 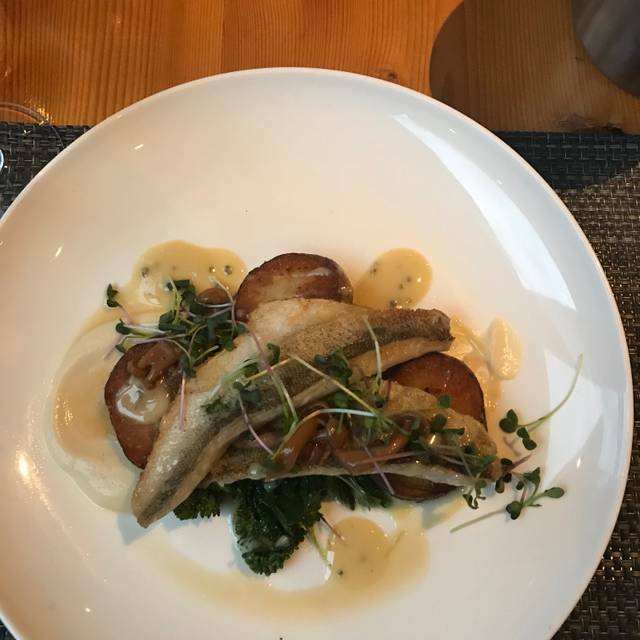 Three courses for $45 | All menu items are in Canadian dollars. We were very disappointed on our visit. We did not order wine with our lunch. Probably a big mistake. Maybe we would have received better service. My husband ordered a hamburger and it arrived with fries. We didn’t know it came with a side and the waitress never asked fries or salad. My husband doesn’t do fries, and would have preferred a salad. Just the tone and body language of our waitress was very uncomfortable. We will not be returning. Ravine has always been a favourite but the last couple of visits have been disappointing. I had left a note with my booking on OpenTable that one member of our party was vegan and I also called the restaurant. 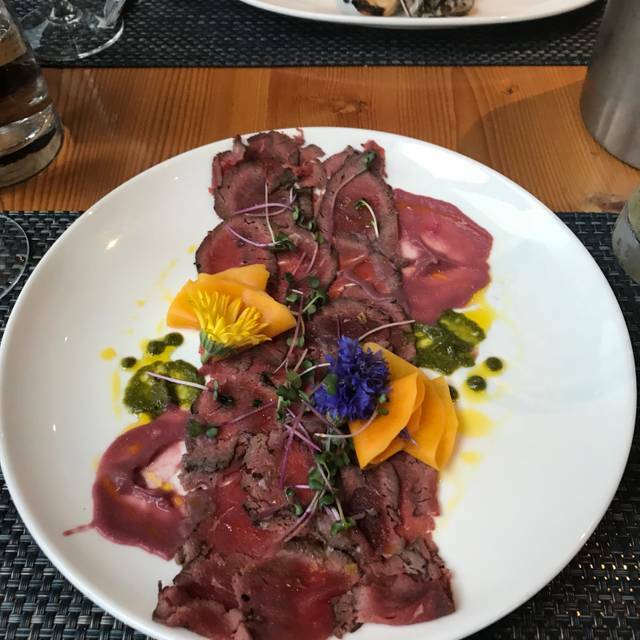 They said they did not receive the note but assured me that they have vegan guests all the time and that the chef would be able to make something to please. When we arrived, the waitress did not know that there was a vegan in the group. She went through the menu and basically said you can have 2 options with the dairy or meat removed. I mentioned that I was told that the chef could also make something according to what was in the kitchen. The waitress went to ask and came back and offered a pasta dish. When the soup came there was chorizo sausage on the crouton and the dessert had meringue. I was embarrassed as I had promised that there would be vegan options for this one person in the party. I feel that the restaurant needs to get with the times. There are more and more people eating a plant based diet and the new Canada Food Guide even stresses the importance. Times are changing and I would hope that Ravine takes the more progressive road. 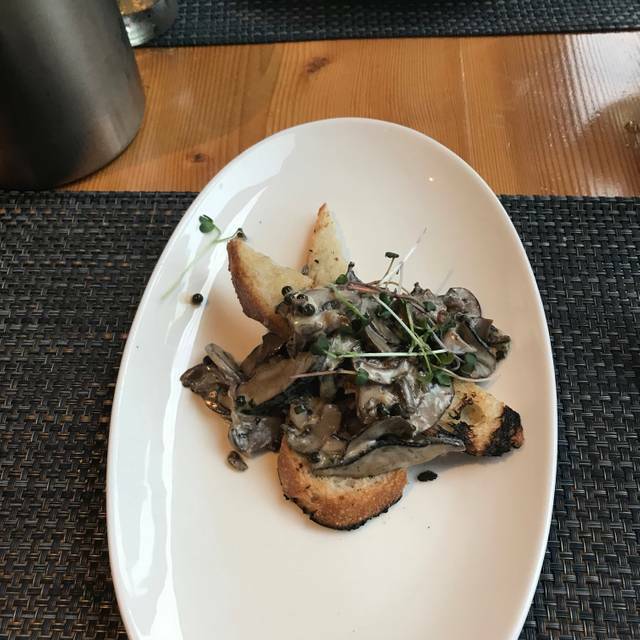 We had a wonderful brunch experience at Ravine Vineyard Winery Restaurant. The server was fantastic and very friendly. The food was excellent. We loved how fresh it was and that a lot of it was produced on site. The prices were very reasonable. We will definitely go again. Went for an early dinner before a play. Good soup and salad. 3 course promo meal was good but not great. Ordered beef medium rare and it came out medium to medium well. The duck confit terrine was outstanding as was the panna cotta. Service started out well but deteriorated as the restaurant got busy. We used to think the restaurant was one of the best in the area but the last couple of years, it has not been what it once was. We dine here 6+ times every year but will not go as often in the future. I absolutely lived this restaurant. The ambience was amazing, the food top notch! Loved this meal and place. Was a lovely dinner with fantastic view and amazing food and wine. Exceptional service and delectable food and wine, a must try! Everything about our experience was wonderful. Enjoyed a delicious and relaxing dinner. Great dinner menu with suggested wine pairings. Our server Jayne was knowledgeable about both the food and the wine. Ravine Vineyard impressed us with their service, value, and environs. 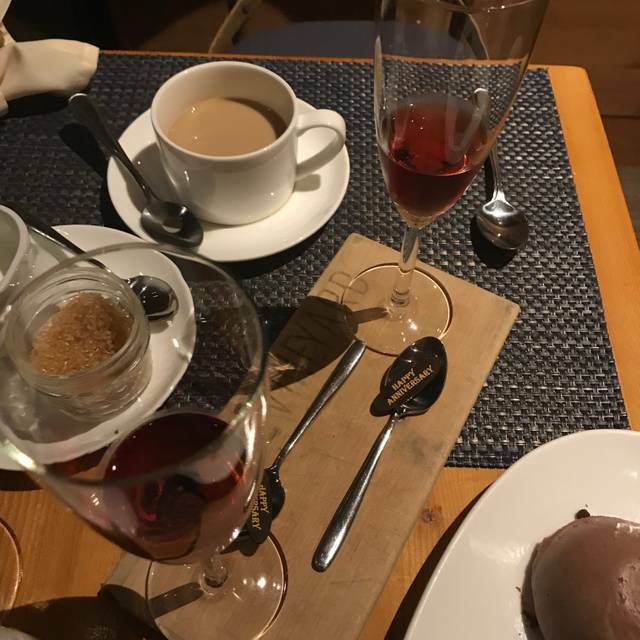 We would not hesitate to return for another meal and wine tasting menu. The prix fixe is hard to beat. The lunch menu offered some diverse choices with wine pairing recommendations. We were 4 guests- all of us enjoyed every morsel of food on our plates and drop of wine in our glasses. All staff were welcoming and knowledgeable. An excellent stopover on our wine tasting journey. It was unfortunate that we were seated beside a table with children who were on loud tablets throughout the lunch. Parents should be providing earbuds if they are not willing to have the children simply enjoy lunch with them. Most disturbing to all seated around them. Obviously not something the restaurant can really control in these times of complete expecting tolerance to everything. Hopefully our next visit will be as expected. I would definitely recommend this Winery Restaurant, I already have. The food was amazing for all four of us, the service was fantastic and the winery itself with its separate building for tasting and their "grocery" section is quite charming. My only comment I would make was the noise level was more then I expected for a refined winery setting. It's not the restaurants/management doing by any means, and it could have just been the date we went, but we found there were several larger groups seated through the restaurant who seemed to be overly loud, so it made talking with our friends a little on the challenging side. We will be back (we are 272 Wine Club members), and we'll be sure to continue to bring our friends and family there. Even in the off-season Ravine vinyard is a hive of hungry hustling. Make a reservation in advance, because eating delicious food with beautiful vinyard scenery all around (especially on the patio in the summer!) os not something you want to miss. 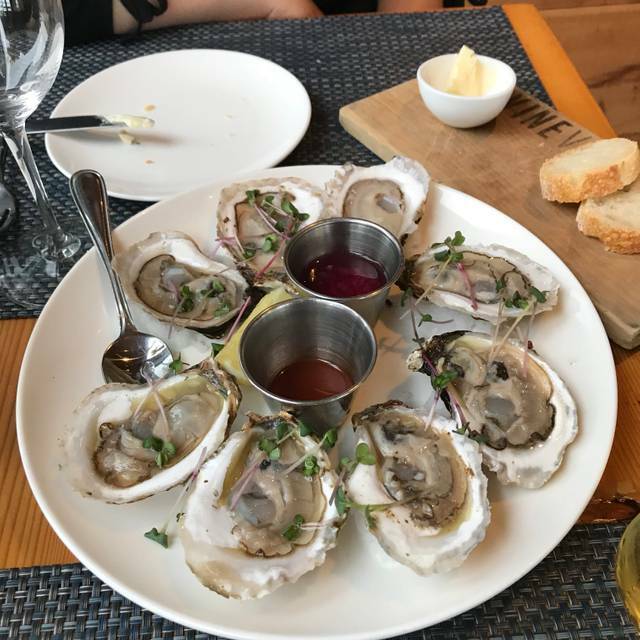 Go for a tasting next door before you dine. Lovely food and wine! Would definitely recommend and will be back! My friends and I tried the 3 course prix fixe menu option and we were very happy with our choices. We were well taken care of by our waiter and the food was incredible. The restaurant has a warm and welcoming ambiance which adds to the dining experience. We can't wait to return in the summer time to enjoy another fabulous meal, this time on the patio. I hope to always loooove Ravine but we had a significant issue with one of our friends who has severe allergies nearly being served food she’s is deathly allergic to. 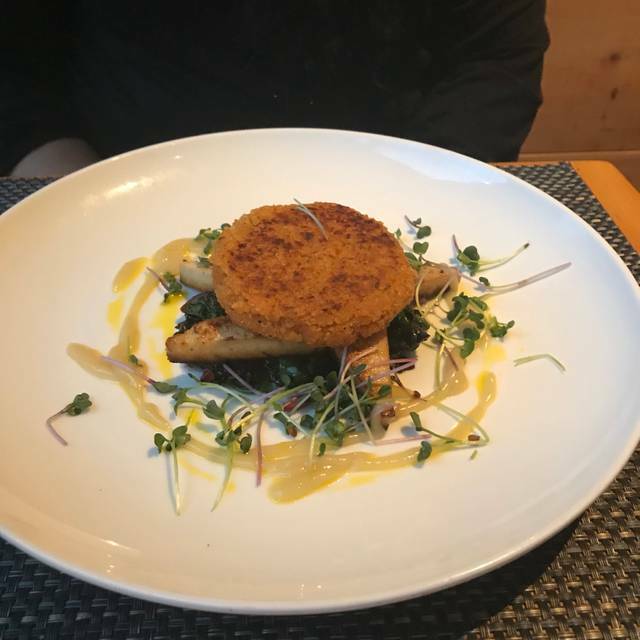 The server made us aware of the allergen before she ate it, however it wasn’t until our friend burst into tears (she was genuinely sacred about the near-miss) and I spoke with the staff multiple times before I could help them understand that our friend had to eat something beyond just "a green salad." It was odd to me that they couldn’t simply prepare a burger or even just eggs without issue while our friend sat there helpless as they were unwilling to prepare anything she wasn’t allergic to? I finally convinced them to prepare a steak off the dinner menu. I find it hard to believe you have never had a guest with life-threatening allergies and being such a fabulous high-end restaurant, aren’t equipped to serve guests with allergies. I have been to Ravine several times, always a great experience!!! Food and staff never disappoint, already looking forward to my next visit. Over priced lunch. There should be a menu that caters more to a lunch. Instead for lunch we only had the option of a dinner type of menu. Totally amazing as always!! My favourite in Niagara! Good food. Good wine. Good atmosphere. Great view. A favourite of ours. Excellent food and service! Chef Matt and the whole staff did an outstanding job! My date and I enjoyed our first brunch at this restaurant. We decided to stay with the fixed menu. I thoroughly enjoyed my beet soup, and my friend enjoyed her crab cakes. We then selected the eggs Benedict with salmon. We were both amazed at the quality of the salmon, and how wonderful the eggs were prepared. 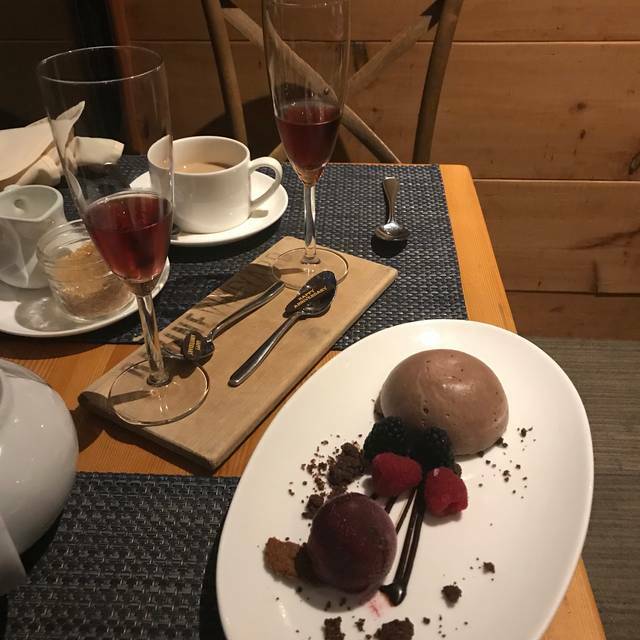 Both our desserts were absolutely delicious, and the presentation exquisite. We also enjoyed a bottle of their Cab Sauv. Final decision!! Yes we would be happy to return!! EXCELLENT, as usual! I am a regular and a member of the wine club - so worth it. Amazing value from the Feast on the Farm menu. The cavatelli first course was unreal and the Bavette was the best I've had. Killer Pork dish and professional yet casual service from Tara. We had a lovely seat next to a window. The duck terrain was wonderful as was the beef cheek and cheese cake dessert. I was tempted by a starter but glad I didn’t as there was plenty of food as it was. 2016 Cab Sauvignon was wonderful. A lovely evening all around. Excellent service and food! There is a lovely quiet ambience in this restaurant. Went for Fabulicious. Food was delicious but limited in quantity. Service was excellent and attentive. Ambiance was severely compromised by cold temperature. Heat needed to be increased significantly, most people eating with sweaters and coats on! Yes, it's colder by the windows, so why put customers on the outside tables?! I'll go back in the spring! 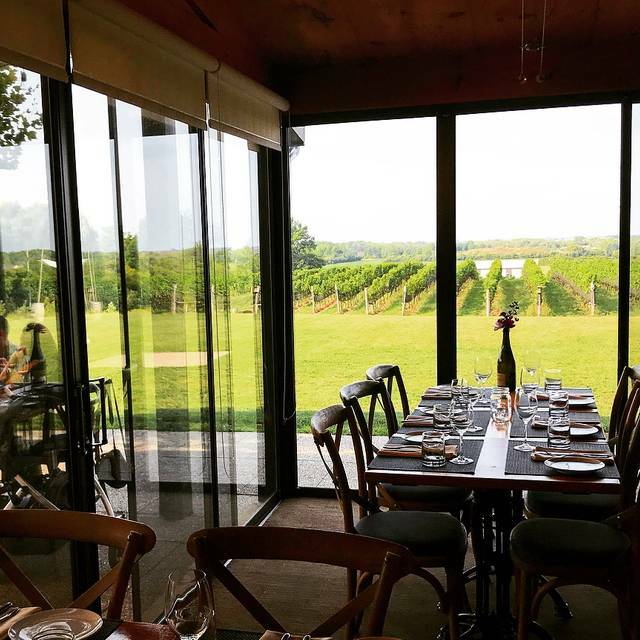 I recommend Ravine Vineyards and restaurant to anyone that is going to the Niagara region. It's a quick drive off the highway and always an absolutely fantastic experience. I stop everytime I'm in the area! We were very disappointed this time with the Fabulicious menu. Only two choices for each of the entree, main and desert. The portions were extremely small. We have been going to Ravine Vineyard for years for their Fabulicious. Sadly, I think this may be our last. Our waitress was amazing and the food high quality and delicious! Wine was amazing ! Food is always very delicious and service is excellent. Been dining at Ravine for years and it is still my fav restaurant! We are locals and Ravine is our "go to" restaurant, especially during Fabulicious events. Always a great experience! A favourite place to meet friends or guests from out of town.